Those Mexican spices are so yummy!! 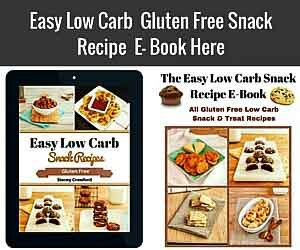 Add : Almond Flour, Flax Meal, Egg White, ¼ tsp salt, ½ Tsp Chili powder, ½ tsp Cumin, and Lime Juice to a large Mixing bowl. Mix until sticky dough forms. Place dough on a sheet of Parchment Paper and put another sheet of parchment paper over the top of dough. 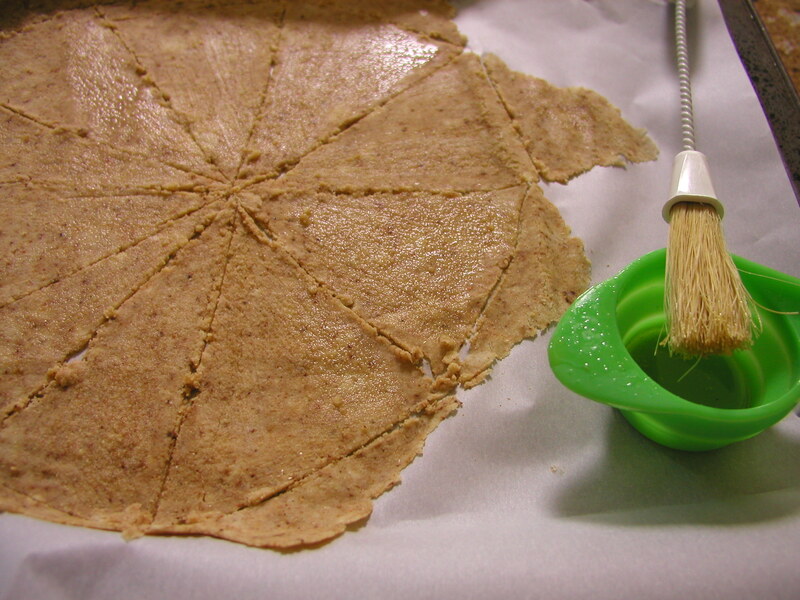 Use a rolling pin to spread dough out very thin, then peel off top paper. Use a knife or pizza cutter to score dough on paper into triangle or square shapes. Mix all the seasoning toppings in a small bowl. Place parchment paper, with dough on it, on a baking sheet. Use a mister to spritz Olive Oil over tops of chips, or can brush oil over chips with a brush (a pastry brush would work). Take seasoning mixture and sprinkle over chips. Put in oven and bake for 10 minutes, then check to see if edges of chips are slightly browned. If not slightly browned, continue to bake and watch. May take a few more minutes, but watch carefully, they burn fast. Remove from oven, cool & serve. 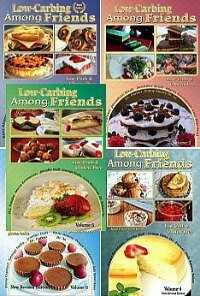 To find other delicious Low-Carb, Gluten-Free recipes, visit with us on Facebook! 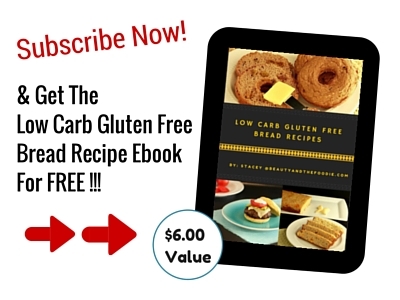 Please support the team by buying: Gluten Free Low Carb Recipe Cook Books. These are a grain free " chip like" substitute for your favorite salsa or dips. People kept asking about what to dip in my "most addictive salsa ever recipe". 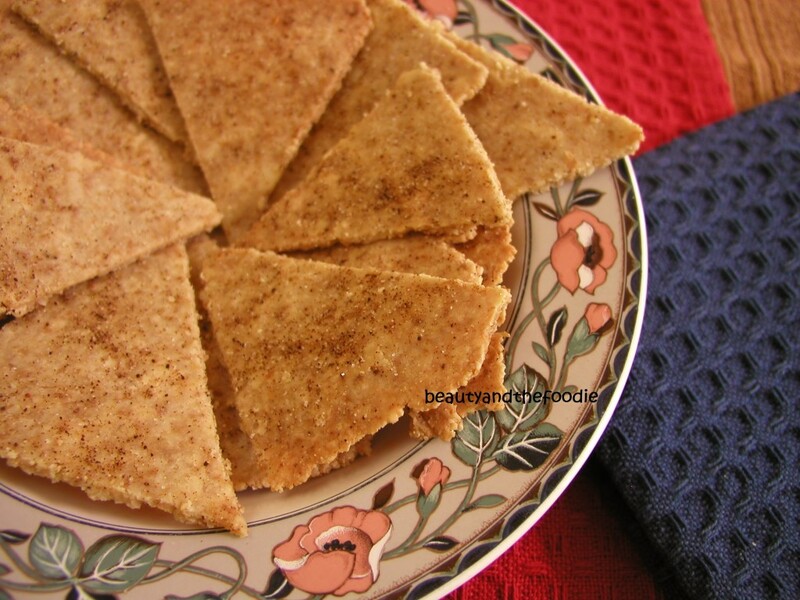 So, I made these cracker like, chips. Not exactly like corn chips, but a great sub when you need a crunchy, salty snack. Add : Almond Flour, Flax Meal, Egg White, 1/4 tsp salt, 1/2 Tsp Chili powder, 1/2 tsp Cumin, and Lime Juice to a large Mixing bowl. excellent chips! the crisp i was seeking! i tried another recipe that was supposed to be crisp but had a lot of fat in it that made them soft. this was ideal texture. next time i’m going to add onion powder, garlic powder and ancho chili or some other type of pepper powder. These are wonderful! I have made them almost once a week. Do you know of a similar recipe adding cocoa and a sweetener? (like a teddy graham bear or the outside of oreo cookie). Have tried modifying this recipe and can’t get them to be crispy. I’ve made them with cinnamon and sweetener for cinnamon crisps, but have not used cocoa powder on it (possible that is adds too much moisture?). I am wondering if these would be good for a while if kept in sealed bags? Like a replacement for store bought chips. I wonder if anyone had tried this? Mine get soft after several days but i eat them anyway or put them in oven on low. JT, I have answered this question before. Because these can be cut into very different sizes, I can’t put an accurate number per chip. So, divide whole batch of chips made into 4 equal portions and one of those (no matter the size they are cut or how many) is one portion. I would give scale weights, but most viewers do not have a food scale. I tried these the other day and I was surprised how great they were. I usually don’t comment on recipes that I try as the do not turn out well. These are awesome! Thanks, I’ll be making them again and trying different sesonings. Thanks so much! I made these using Italian herbs & spices, it worked beautifully. The hard part for me was determining the thickness with the rolling pin! I think these might be yummy if I put cinnamon sugar seasonings on instead hope it turns out good!!!!!!!!!! 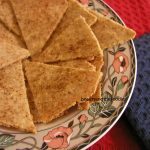 So does this recipe basically make one big tortilla sized flat that you roll out then cut/bake? If so, does that mean that 1 serving would basically be 2 chips if I were to cut it into 8 equal parts? 155 Calories sounds like an awful lot for 2 chips, haha. Devn, it depends on how large you cut them. If you cut them in 8 peices, then they would be pizza slice sized chips and that would be very large sized chips. You would cut each pizza slice into 4 chips and then you would have 8 chips per serving. Devin, I just thought it was a new way of spelling your name, lol..
wow, super good! Fast & easy. Kate, Thank you for taking the time to comment and share your taco idea. Which sounds like a great idea! let us know how that turns out. I made these today, and they were awesome!!! I didn’t have all of the seasonings so I just used sea salt and they were great!! Thanks 🙂 I’ve already shared the recipe. Ashley, thank you for trying the recipe. They are great with just sea salt. I just love to use or try different spices. Thank you for sharing the revipe, I really appreciate it. Is there a substitute for the almond flour? My husband is allergic to almond flour. Chris, I believe you could sub cashew meal or hazelnut flour for almond flour if he can tolerate those. 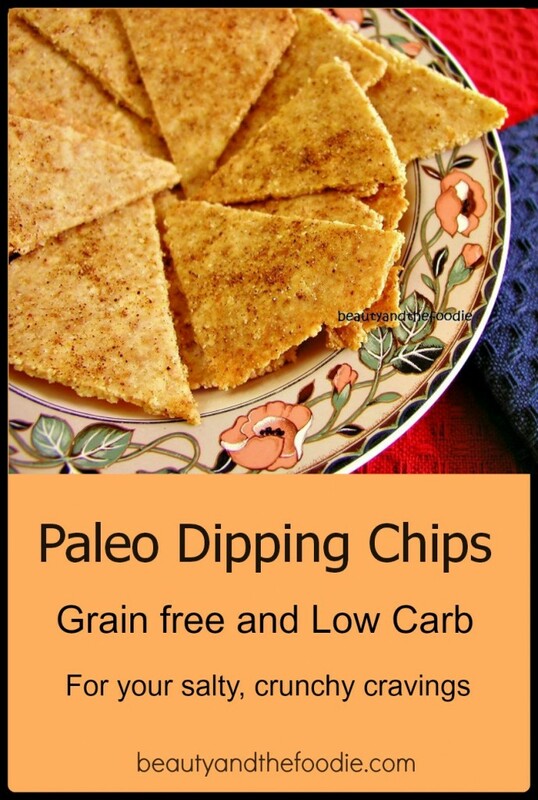 I tried your Paleo dipping chips recipe tonight and they were delicious. Even my hubby liked them! So quick and easy to make too. Well they took more like 30mins (maybe my conversion from Fahrenheit to Celsius was wrong). 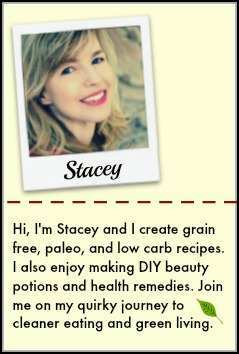 I used almond meal as I don’t have the flour and hazelnut meal as I don’t have flax meal. They have a yummy flavour and terrific crunch. I whipped up a salsa to go with them, put them on a plate with melted cheese and sliced jalapeños, cream cheese and salsa. My only regret is I didn’t double the ingredients because they’ve all gone now! Hi Maria, thank you for your feedback. I am so happy they were a hit. I think my oven is speedy, your conversions were probably right. I do need to start putting the convertions and in my posts. Long project though. i used cumin seed was that correct? Valerie, correct, I used ground cumin seed in it. Not sure about using whole seeds. These look amazing, and I really want to make them! But I’m confused about one thing: The link to the baking pan, which is on Amazon, seems to show three different sizes. Could you give me some idea of which size plan to use? Thank you again for posting this delicious -sounding recipe! Victoria, I usually use the larger baking sheet in the set. I made these last night to go with my homemade chunky guacamole. They were fabulous and I will definitely be making them again. I wasn’t even tempted to sneak one of my husband’s “real” tortilla chips. YAY!! Next time I will use a little less salt in the seasoning for the topping and I will make sure I cook them a little longer, because a few in my first batch were chewy rather than crispy. Thanks for the great recipe! Julie, thank you so much for your kind words. Really glad these worked out for you. I probably am a little heavy handed with salt, lol. And my oven seems to be very fast. Can you sub coconut flour for almond flour and almond meal for flax meal? Could the yolk be left in or will the recipe not work then? Jill, The egg yolk might make them not as crunchy. I save the egg yolks for custard or adding to meatloaf. These were awesome with salsa! I had my doubts lol. Thank you, Roxanne! I had my doubts too when trying to make a chip substitute. But even the kids liked these ones. Hi Sheila, you are most welcome. Thank you for trying it. Can you clarify the carb count? It says ” One out of four”, not sure what that means. Mel, it is one portion out of 4 servings. I divide the chips into four equal portions. I can’t be extact of each portion size because people can cut the shapes slightly bigger or smaller. So I had to take whatever the batch yields and divide that into 4 groups, and however many that is depends on how big you cut them. Maybe it would be easier to understand if you just listed it not serving but entire batch and then just multiply by 4. So then everyone would inderstand..if they make 50 crackers..divide it for serving amount.